According to a study recently published in the journal JAMA Surgery, robotic-assisted cardiac surgery is associated with several advantages for patients when compared to non-robotic surgery. Researchers led by Franz Yanagawa, MD, from York Hospital in York, Pennsylvania, analyzed data on patients who had undergone cardiac surgery between 2008 and 2011, in most instances involving the valves or septa and vessels, but also including other heart or pericardium procedures. The researchers evaluated the success of the procedures on 14 distinct characteristics, including complications, length of hospital stay, overall cost and mortality. The results showed that robotic-assisted surgeries resulted in shorter length of stay, lower mortality and fewer complications, although they did have a higher median cost compared to non-robotic procedures. "Robotic-assisted surgery appears to have reduced mortality and complications, helping to offset upfront costs," Yanagawa and colleagues wrote. 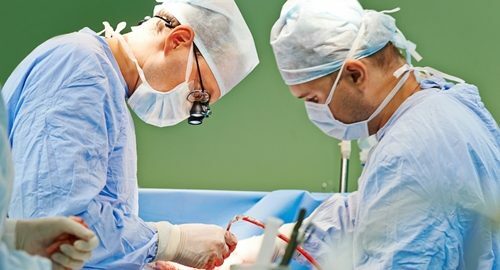 "Results of this study suggest that robotic-assisted surgery may be as safe as nonrobotic surgery and offer the surgeon an additional technique for performing cardiac surgery. Further studies need to be performed to show long-term benefits, including quality of life and pain scores." As cost-containment continues to drive device design and define marketplace success for many devices, it's important that payers, providers and other health care decision-makers pay close attention to the ancillary costs of medical devices as well. For example, a facility that performs numerous cardiac procedures could be better served through making the significant up-front investment to purchase a robotic surgical solution, as this could help save resources in the future through shortening patient stays and reducing readmission rates. Device manufacturers also need to provide the quality and in-depth clinical evidence that makes these advantages clear.